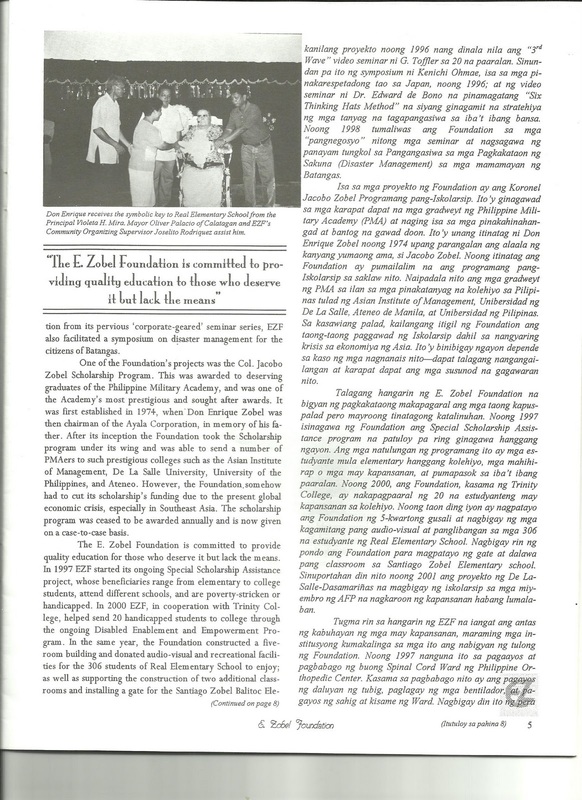 My first job out of college was working as the PR Writer at the E. Zobel Foundation, a non-profit organization founded by the late Enrique Zobel. 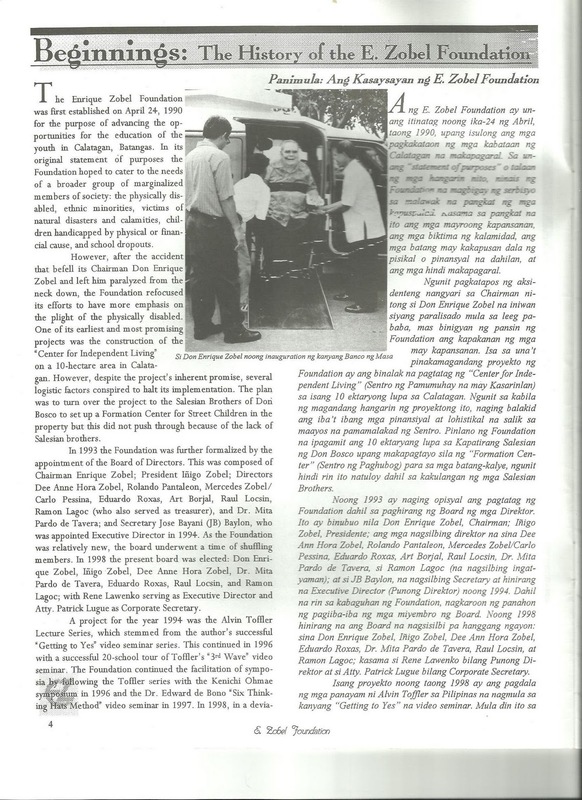 I had a varied bunch of duties, such as helping Mr. Zobel with his columns for BusinessWorld newspaper, but one that I took to heart was publishing the Foundation’s annual newsletter. 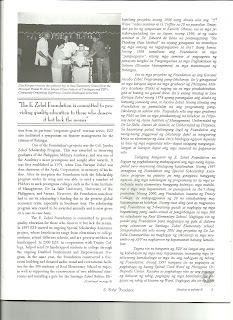 Distributed to the Foundation’s stakeholders, friends of the Chairman, beneficiaries and officers, it was 20 pages long and featured the Foundation’s activities, history, beneficiaries and other topics. 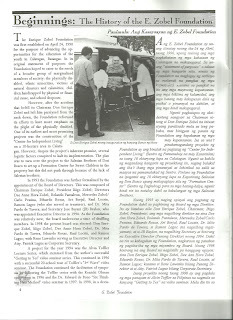 I was a one-man team, deciding what topics to feature, researching them, writing them, interviewing beneficiaries, translating them to Filipino (! 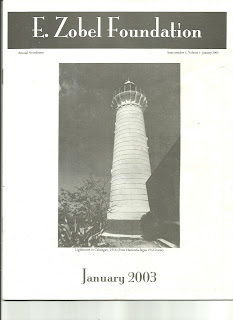 ), taking photos, laying it out via MS Publisher and then liaising with the publication house for printing. 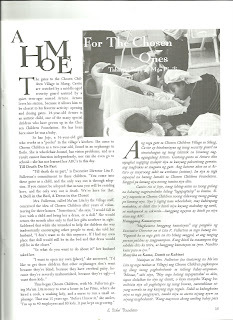 It sounds daunting now but it was actually a lot of fun and taught me a lot. 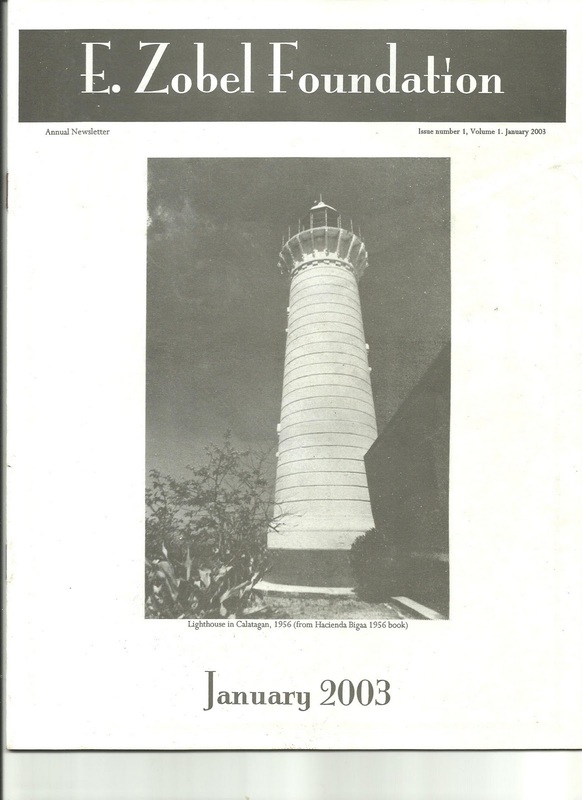 Click on the pictures below to see the newsletter and read a couple of features on the Foundation’s history and one of its beneficiaries. 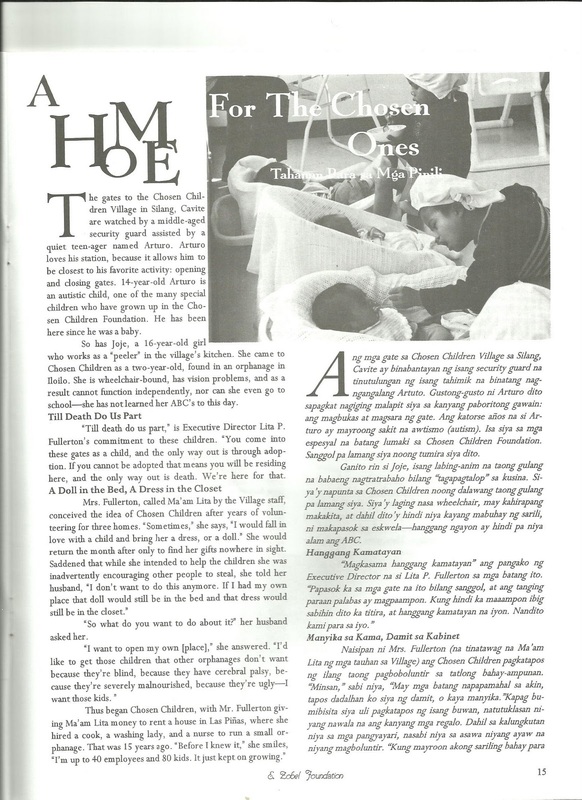 It goes without saying but “A Home for the Chosen Ones,” about the Chosen Children Village in Silang, Cavite, was my favorite story to write.